Visit the new product web sites on Grindaix homepage! Due to our fast development of new Grindaix nozzle types, we are able to deliver customized high-tech lubricoolant nozzles for all duties and grinding processes. As of late we are presenting our complete range of lubricoolant nozzles on our Grindaix homepage with many product-examples. Beside our standard cooling nozzles you receive a wide range of information on cleaning-, saturating-, flushing- or spark extinguishing nozzles also. Learn more about our complete product range - Grindaix lubricoolant-nozzles. 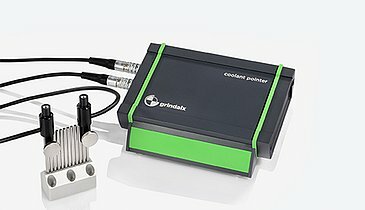 The grindaix team has developed a Coolant Pointer. This enables you to see whether the needle nozzle is positioned properly. 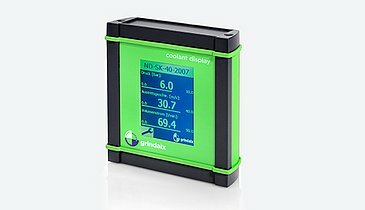 The grindaix team has developed a Coolant Display. This enables you to read out the lubricoolant exit speed on almost all lubricoolant nozzles. 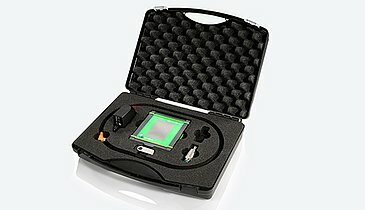 The grindaix team has developed a new series of Coolant Audits. These focus on analyzing, designing and benchmarking lubricoolant filtration systems. The grindaix team can convert the lubricoolant supply of your machine tools for you. Such an integrated conversion project is known as a Coolant Package. Grindaix is affiliated to the Light Alliance industry working group. Light Alliance is a research and industry association concerned with the manufacture of metal products using 3D laser sintering. In the future grindaix will produce specific components for the lubricoolant system using generative manufacturing methods. 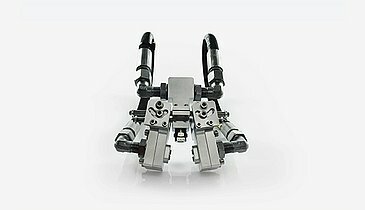 We are obtaining the know-how required for this from this specialist committee, the only one of its kind in Germany. In early 2014 Laserzentrum Nord GmbH set up a new industry working group for laser production methods for function and weight-optimised components. The focus of this group is a 5-step development model that allows conventional products to be optimised in respect of weight and function. Members of the network receive specific product solutions in regular workshops using three light demonstrators that are being developed over a period of two years into innovative light components. Grindaix cooperates with AVIA - Hermann Bantleon GmbH in Ulm. This lubricoolant supplier offers not only high-quality lubricoolants but also a range of services related to the successful use of these products. Hermann Bantleon GmbH offers not only high-quality lubricoolants but also a range of services related to the successful use of these products. We are very pleased to be able to offer you from 1 January 2014 a still more comprehensive modular lubricoolant system. These will increase the product range of the grindaix GmbH modular lubricoolant system to 100%. The Erwin Junker Maschinenfabrik GmbH company cooperates with grindaix in improving the efficiency of lubricoolant use for machine tools. 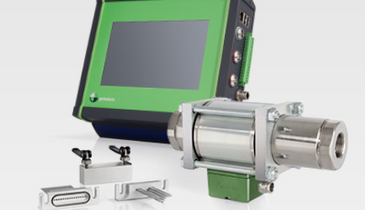 Grindaix GmbH audits machines on behalf of this leading German machine tool manufacturer and identifies savings potentials in the use of lubricoolant, engineers a technical retrofit package and supplies this after consultation with the manufacturer. The renowned Black Forest-based manufacturer then installs all the units and commissions them on-site for the customer. Grindaix finally establishes whether the efficiency improvements have been achieved and provides a seal of quality: “Machine audited by grindaix”. All grindaix GmbH employees are very proud of this cooperation! The New Modular Lubricoolant System! 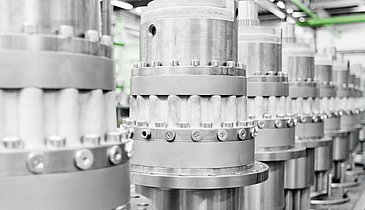 In addition to nozzle systems, since 2013 grindaix has also supplied lubricoolant pumps, lubricoolant filters, lubricoolant valves, lubricoolant pressure boosting stations plus design and installation of lubricoolant pipework in machines and production shops. 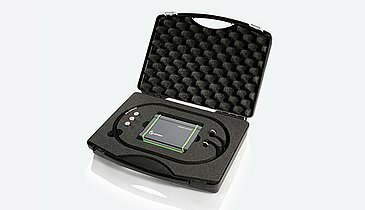 Following years of cooperation in which a high level of trust has been built up, grindaix employees can now feel honoured to successfully provide the major German automotive suppliers and manufacturers such as VW, Bosch, Daimler AG and Thyssen Krupp AG with coolant audits and technical lubricoolant systems. In 2012 alone, grindaix’s most successful year, we retrofitted over 400 machines, thereby making them more efficient. 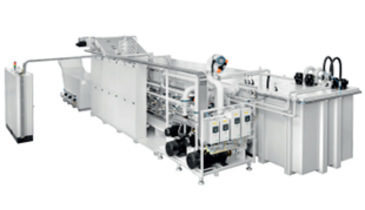 Together with our partner companies Grundfos Pumpenfabrik GmbH, Viega GmbH & Co. KG, LTA Lufttechnik GmbH, Müller Coax AG, Pall Corporation and Mahle Filtersysteme GmbH we assemble the most efficient lubricoolant systems, for both machine and user, and supply them to our customers. We look forward to supplying our solutions to you too. 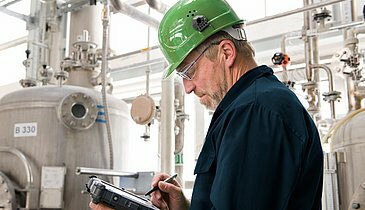 Over 60 Coolant Audits Successfully Completed in 2011. After only two years of development and testing, the grindaix team was able to launch the Coolant Audit and Coolant Design service on the market in January 2011. A total of over 60 coolant audits were subsequently carried out during 2011. 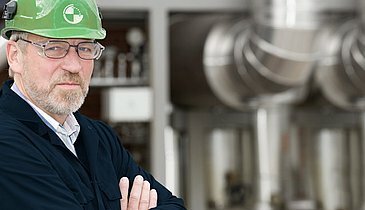 Following an initial introduction phase, the company Erwin Junker Maschinenfabrik placed the first order in the second quarter of the business year. Other machine manufacturers and users of machine tools quickly followed suit. Three types of Coolant Audit were provided initially: Coolant Audit S (the rapid analysis), Coolant Audit M (the complete analysis) and Coolant Audit L (analysis of entire production lines). In June 2011, Coolant Audit F (analysis of lubricoolant filtration units) was added. Successful Coolant Audit L Completed at Major Customer. In collaboration with a major customer from the automotive industry, an entire production line has been audited. The analysed savings potential for lubricoolant related costs amounts to EUR 280,000 per annum for one production line. The cost savings were analyzed together with the financial accounting department of the company. During the next step, the technical changes were determined per machine; these were implemented promptly by employees of the company without the need for additional investments.